Today I pulled a crown out of my head in the Schwiegi bath - and my gaze fell on her guests' flacons. Of course No 5 edp - and Acqua Colonia White Peach & Coriander. My hand was heading for Chanel, but I thought of the spouse who finds the EDP "creepy". I harbor some fragrances of this series, and so I sprayed carelessly. Yes - delicious peach with .... uh - wet laundry ? I looked around the blitzbanken room and couldn't find any washed wardrobe. Such a faux pas would never happen to my accurate Schwiegi. But I still have the peach in my nose, which suffers a lot from stuffy laundry. Does the coriander give this moist mildew note? I don't feel well at all - and I blame my flowering on the pleasure of the Hessian "wake-up call" - a not exactly dietetic dish. Pale around the nose I appear again in the good room and crouch into a corner. The husband smells into the air, and notices: Here smells like wet dog - not straight round ! Our poodle is inspected, but it is not watered, but dust-dry. 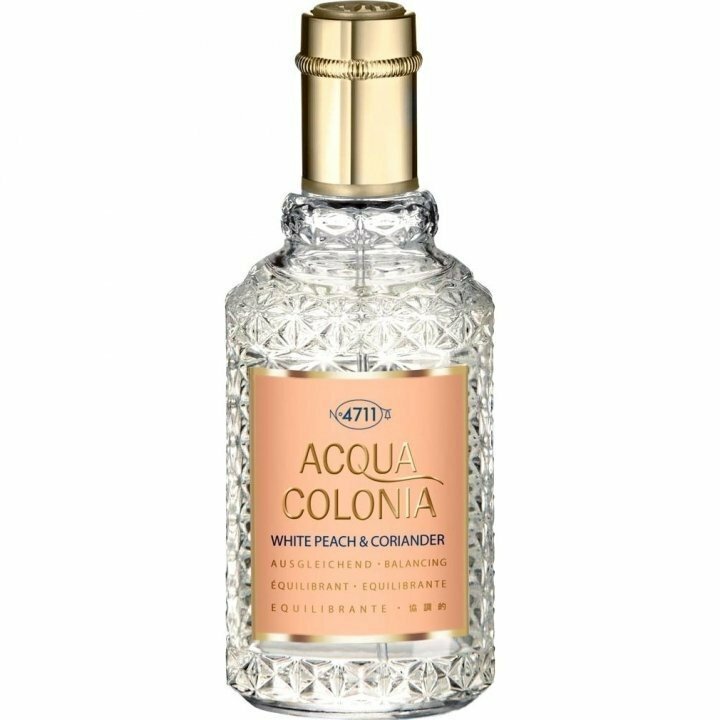 I am taking the floor carefully to say that I have probably applied "too much" of the Acqua - which of course is not true, but I do not want to embarrass anyone. My testimony is accepted tacitly - but I remain on the sidelines. A wet dog - that wasn't a find. Unfortunately, I perceive it only as a breath and after much spraying. And that's very unfortunate, the scent is fine and pure. He kind of brightens the mood.